Apo, FCT— Back by popular demand, the “Get It Together” Radio programs Se’rigbo in Lagos, Ireti Eda in Oyo, and Komai Nisan Jifa in Kaduna are re-airing 26 episodes of its weekly radio program starting the week of July 15, 2017. “I like the radio program Se’rigbo and think it should be continued. I do not miss any episode as I have learnt a lot from the family planning expert that answers questions also, as some of the things she said are things I have experienced as a woman.” Mrs. Bunmi Olookoba, Ajeromi community in Lagos State. The episodes of NURHI 2’s popular programs — Se’rigbo in Lagos, Ireti Eda in Oyo, and Komai Nisan Jifa in Kaduna — continues the captivating dramas they are known for, intermixed with real-life testimonials from community leaders, health service providers, and program listeners. The shows also give listeners the opportunity to call-in and speak directly with family planning experts, who will answer their questions live on-air. Listeners can have a chance to win a weekly prize of a N1,000 recharge card. 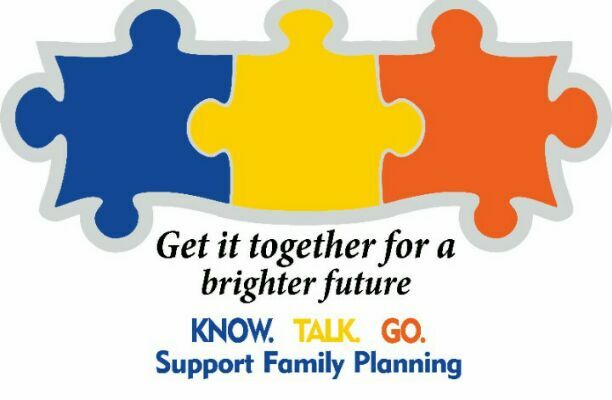 The radio programs are part of the Get it Together Campaign of Nigeria Urban Reproductive Health Initiative (NURHI 2) which encourages all Nigerians to KNOW the facts about family planning, TALK to their partner, and GO for family planning services.